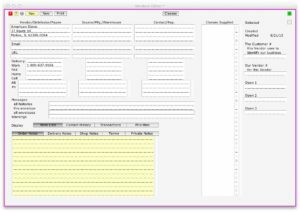 Simialr to Contacts and Customers, this is used with the Purchases Editor. 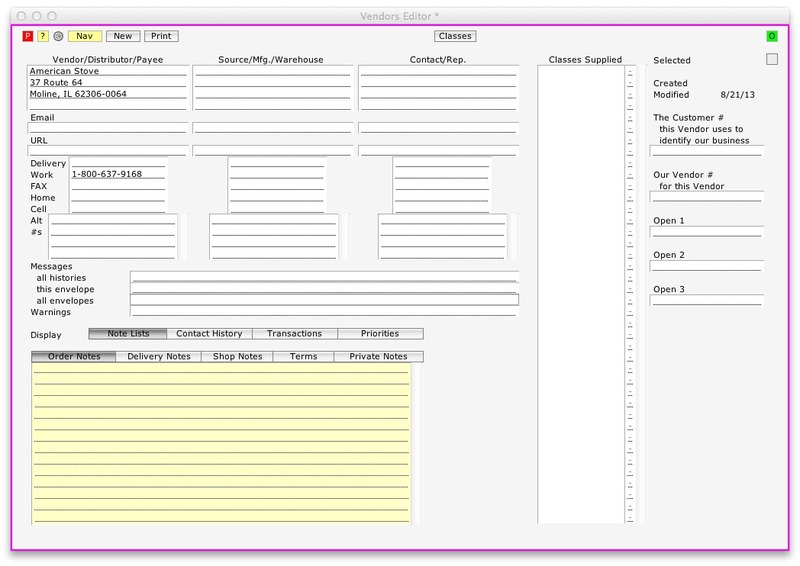 Create and edit new vendor records here. Add them to new purchases with a couple clicks. There are numerous reports and lists for purchasing within the Ahsomme system – and you can create your own lists with the Navigator and your own reports with the ReportMaker.